Home / Headlines / Technology / "Youtube to have interesting opportunities for creators to do something amazing"
"Youtube to have interesting opportunities for creators to do something amazing"
As you know, today everybody is very active on video sharing site Youtube and also we can watch every video there. So it's a very usefull palce for sharing and watching the videos that you want to share or watch. Satya Raghavan, the head of entertainment for YouTube India, talks about the new collaboration and Youtube’s latest developments. 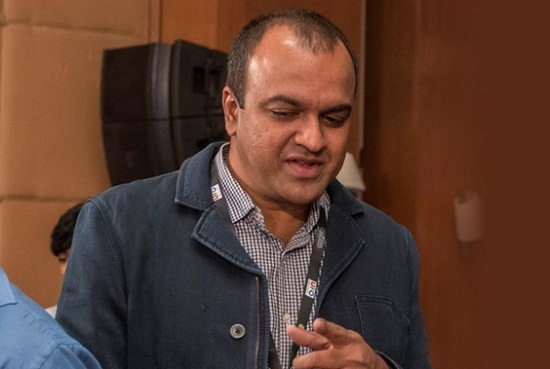 Satya Raghavan, who talked in a quick chat, at a event and the event held by Qyuki and YouTube, a new platform for independent media artists was announced. Jammin’ which is an initiative by Qyuki will see a digital collaboration between YouTube’s leading music creators and icoic Indian co posers like AR Rahman, Salim-Sukeiman, Clinton Cerejo and Mithoon. How do you think will Jammin’ get users hooked on to better content? It’s a very unique property and will encourage a lot more music creators to create great content, they will see Youtubers and Bollywood legends who they relate to which will get them excited to do something like this in the future. I think this is going to be great not just for the content but also for the entire music creator ecosystem. YouTube Red is a platform that is coming to India, what’s it about? Also, tell us about the YouTube academy. YouTube Red is our subscription service and all content you get on YouTube will be available without the ad; it’s currently in the US while the YouTube school at film city Mumbai is a great place to create, connect and learn. We have classes every weekend on how you can improve skills and the channels to get better content. You need to have 10000 subscribers to use the facilities. Facebook Snapchat and Instagram are all working towards richer video content, what’s your take? I think it’s a wonderful time for the creative eco system and the consumer, it's great that that are so many opportunities to grow the space and it will serve the entire media. What other initiatives will YouTube plan on the lines of Jammin’? Jammin will kick off on August 19 and we are looking forward to it for now. There are many other opportunities that we may look forward to inn the future across verticals from travel and food. There will be interesting opportunities for creators to do something amazing. YouTube entered the offline video content space, how is the response? We launched it last year and it’s a way in which you can offline a video through Wi-Fi or data and watch it as per your convenience. We are getting an amazing response. People are offlining videos before getting into a flight or a train and they share videos while students in a college canteen watch videos in a group. We have seen it take off really well in a country where people can consume such products so it’s a great initiative. How is the content picking up in India? Our platform is growing very well, we have a lot of content uploaded on YouTube and it is growing 90 percent year on year, we are seeing a lot of creators from different parts of the country. We are seeing great traction from south indie and also from other parts of the country where people have taken content in other languages. If you are in any part of the country, you can come on to a platform like YouTube and discover your audience. Is there any specific ad or marketing strategy that YouTube is working on? We are continually growing our user base and we are continually growing creatively to serve the advertiser base. It’s a place where all of these constituents can come together and connect with each other so we are very happy with the way things are going.